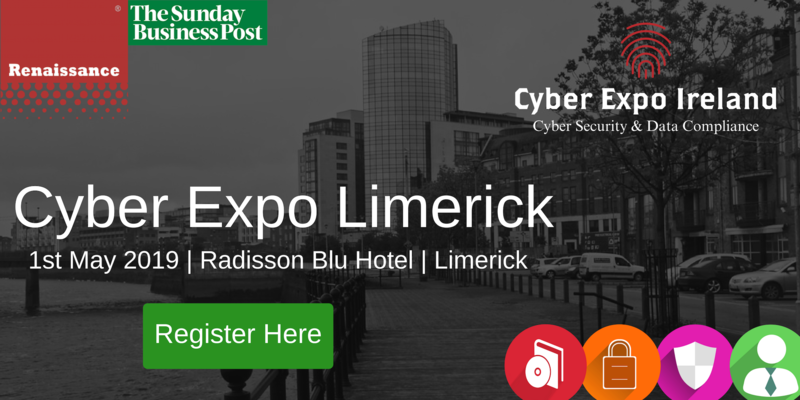 In keeping with the Security Ecosystem theme, the Regional Expos will be open to both End Users and Resellers in the Irish market. 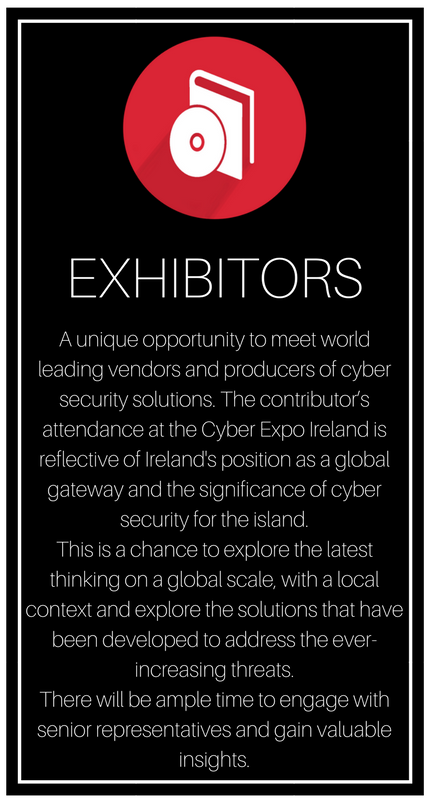 At the inaugural event in November 2018, Renaissance welcomed 600+ delegates from around the world into the IMI, Dublin for the third Cyber Expo Ireland. 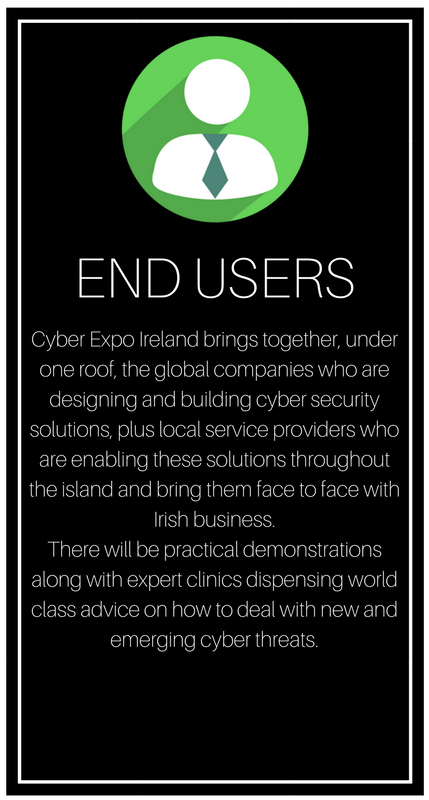 Our Expo will be open to IT Trade and End Users in the Irish market. 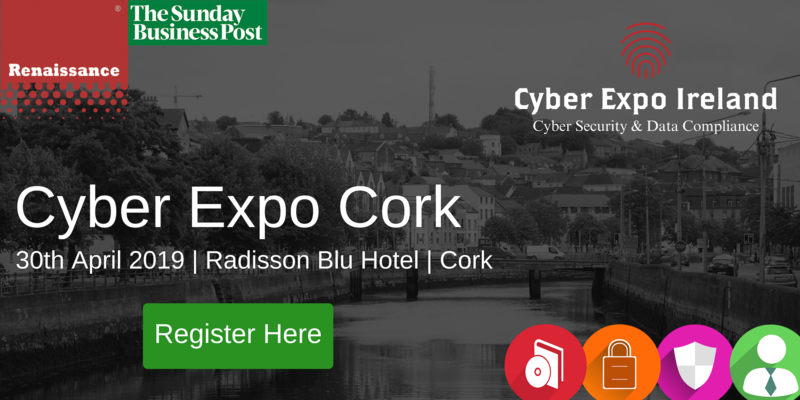 There will be heavy focus to attract value added partners to the Expo, while we will also be keen to attract SMB and Corporate Users to demonstrate how they can apply Data Security and Compliance solutions within their organisations to develop and deliver their GDPR and other regulatory requirements. Ransomware is constantly on the rise, hitting organisations both large and small as we seen in the past year with examples of companies as large as the NHSUK being hit. It is important to understand this type of malware and the best ways to combat it. Get the up to date intel from our experts. Cyber threats such as denial of service etc. by cyber criminals who demand money in return for "protection" is continually on the rise, what should you do to avoid having to pay out? The new GDPR legislation set to begin in very shortly compliance is now a top priority for business. What does this mean for you? What are the steps to becoming compliant? Understanding the perfect solutions for your business can be a difficult task, with the amount of innovative products on the market. The challenge is, where to start? 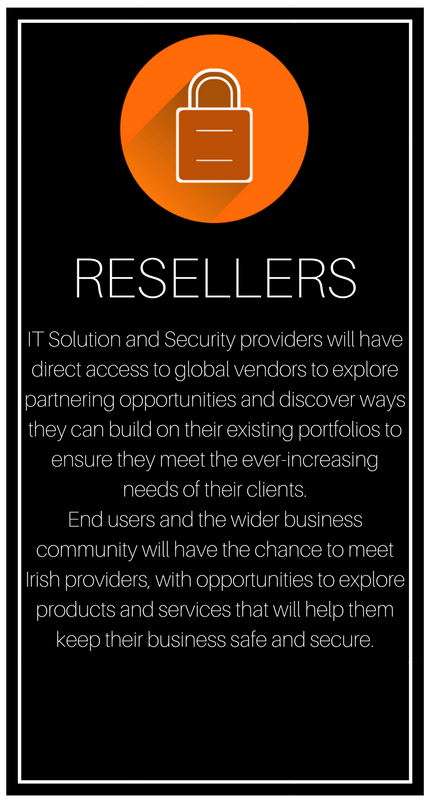 Our resellers will be able to talk through and understand your business needs and recommend the perfect products for your organisation. 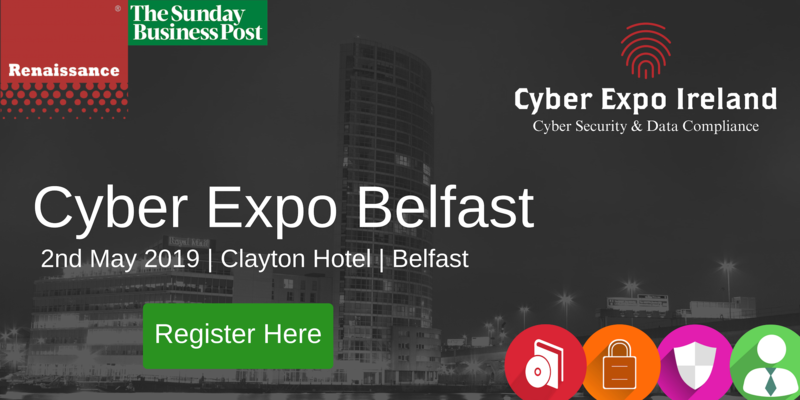 AS WELL AS AN GAINING RELEVANT AND USEFUL INSIGHTS INTO THE HOW TO BEST PROTECT YOUR ORGANISATION THERE WILL ALSO BE A GREAT OPPORTUNITY TO MEET BUSINESS PEOPLE IN YOUR SAME SECTOR AND FROM OTHER SECTORS AS WELL AS MEET VENDORS AND RESELLERS OF EMERGING SECURITY TECHNOLOGY, GIVING YOU A NEW UNDERSTANDING OF WHAT PRODUCTS DO AND WHICH ONES MAY BE SUITED TO YOUR NEEDS.